Yesterday morning, Mouse and I visited our friends Ariana and James at Good Egg Farm. We brought a brioche to share, and they set the table with sweetest strawberries and glasses of cold spiced iced tea. 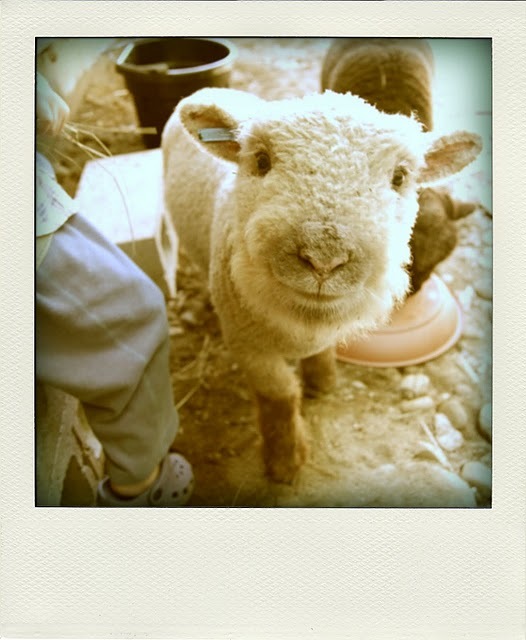 After snack, we visited with their new lambs, which may be the most adorable creatures in the entire universe. Truly. Look at that wooly face! Mouse and James fed them grain, stroked their wooly bodies, and had a nice hearty conversation about their digestive systems. After a short woodsy walk, some sand play, and coloring, it was time to go home. And, as we drove down the hill back to town, we chatted about how nice it is to spend slow, warm, summer mornings with dear friends (and lambs).